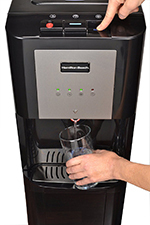 Do you want to know which water dispenser is the best in the market today? Well, you came to the right place because I wouldn't just give you a review of them, I will also give you important facts and everything you need to know about it. 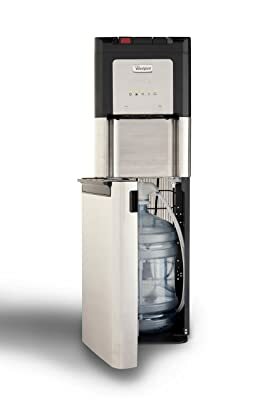 So here are the 2019 Top Picks for the Best Water Dispenser. 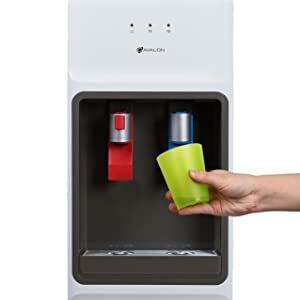 It is basically self-explanatory but a water dispenser or also known as a water cooler is a device that actually dispenses either hot or cold water. 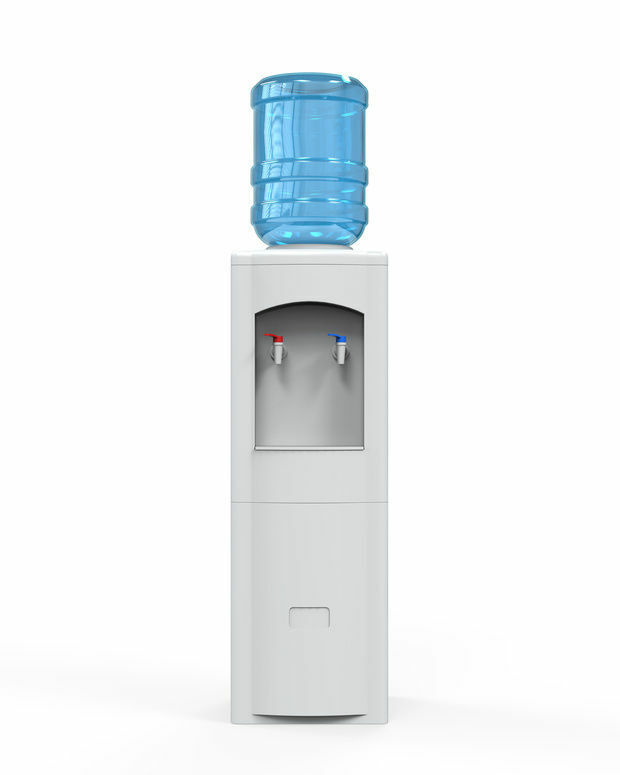 There are two categories of water dispensers; bottled and the bottle less water dispenser. 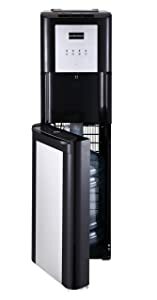 Bottled water coolers are water from large bottles where you need to get from those who sell them, while the bottle fewer water coolers are hooked up to a supply of water. It started in 1906 when the water fountain was invented by Halsey Willard Taylor and Luther Haws. 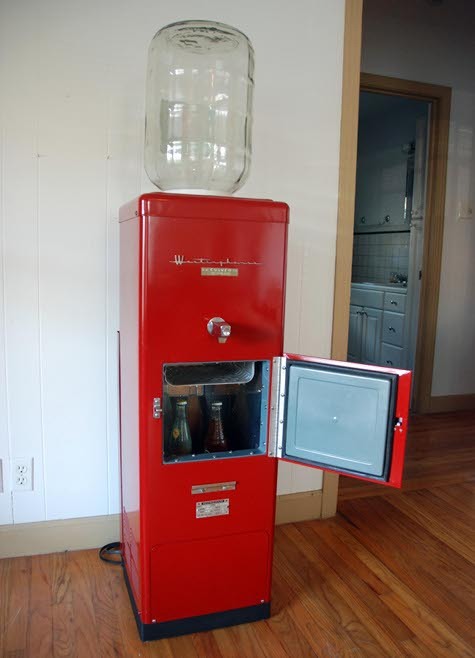 During the 20th century, when the bottled water dispensers were made and the units depend on gravity to get the water in a free standing unit. Although the cooling units were added a little later. In the 1980’s a huge increase in demand was seen because of the introduction of plastic bottles instead of glass. 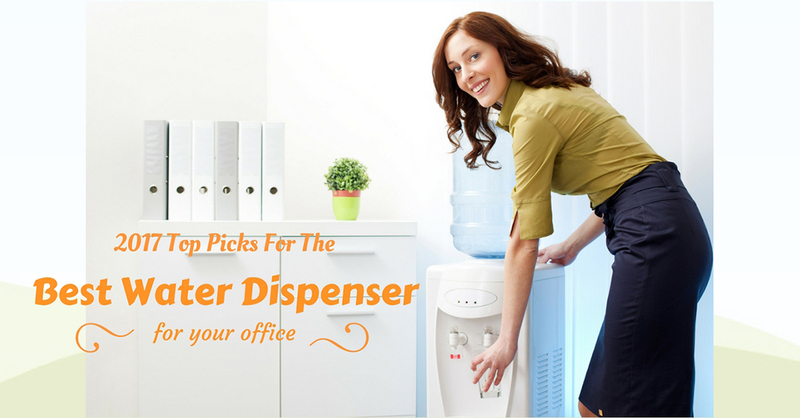 It also revolutionized the bottled water cooler market which is now used all over the world. But it wasn't until the 1990’s when bottled water coolers turned into water coolers that incorporate filters and cutting the expensive costs of bottling. 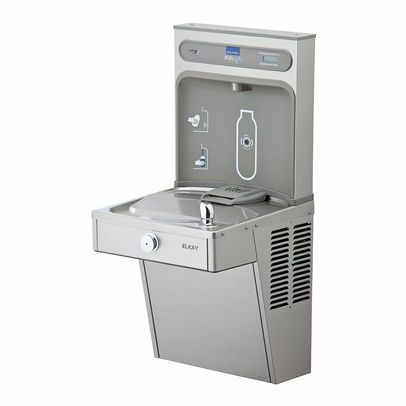 This type of water dispenser involves water being placed into a spout-down dispensing machine. The table top or also known as kitchen worktop versions are made to basically utilize a readily available five-liter water bottles from the groceries. It uses air pump﻿s to push water into the cooling chambers. This is the most common water dispenser today. This is a type of water dispenser that can be directed into the in-house water source for continuous dispensing of hot and cold water. This is also known as Point of Use dispenser. This is basically just like the freestanding water dispenser but this type can be placed at the top of the table that can serve a small number of people. 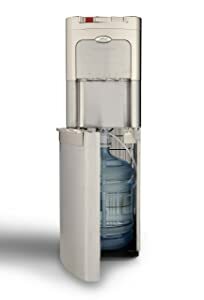 This is the type of water dispenser is also connected to the water supply. It is for the continuous supply of water and electricity to be able to run a refrigerator unit to cool the incoming water. 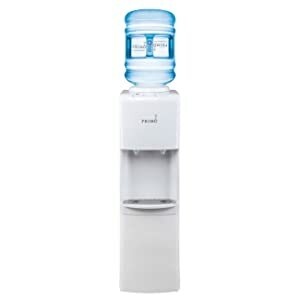 BOTTLES – the usual and most common way to put water into him freestanding and tabletop water dispensers are thru bottles. The bottled water is usually delivered to houses where they exchange it for the empty one. The most common size of the bottle which is used all over the world is 5-gallons. PLUMBED WITH PURIFICATION – there is no need for bottles in this one because the water comes directly from the tap and the water dispenser purifies them. Our top pick for this review is the Whirlpool stainless steel water cooler with led indicators. It looks and is indeed very elegant and durable with unbreakable water faucets. Also, the hot button is child resistant which makes it just perfect for family use. This fancy looking water dispenser also comes with a LED lighting for whenever you want to get some water in the dark. The buttons are also very easy to push and it has a spill-proof feature that is very nice especially if you have children at home. 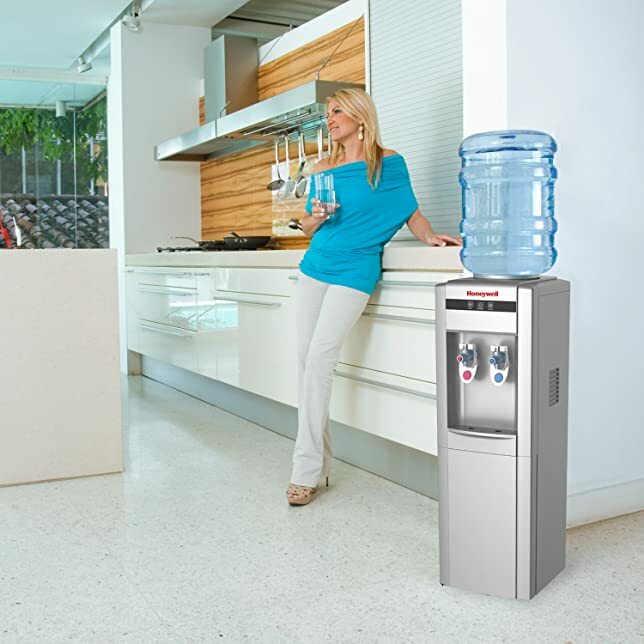 Just like the Whirlpool water dispenser, the Glacial Maximum Stainless Self Cleaning Base Load Water Cooler comes with a very nice self-cleaning feature. It also promises to keep the water cold. 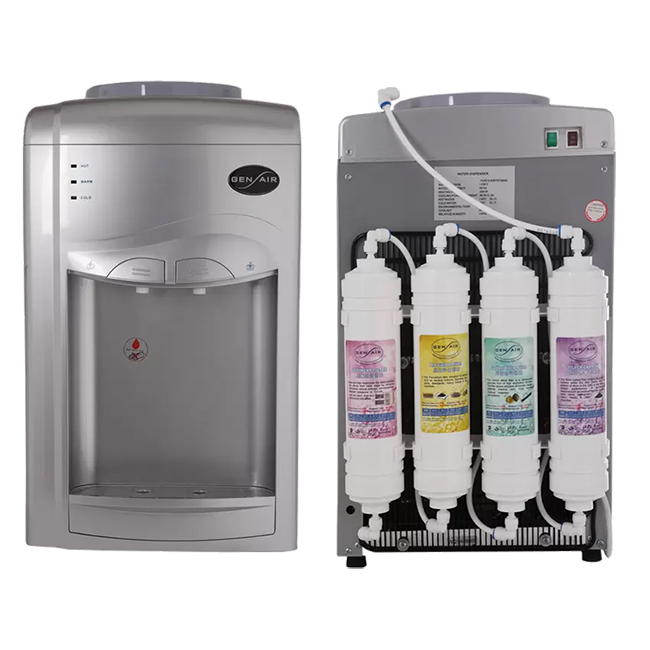 Another water dispenser that is very child-friendly is the Avalon top loading water dispenser. It has a very nice comprehension that is efficient when it comes too cooling and heating the water to just the perfect temperature. 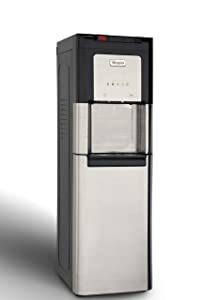 What is so nice about this water dispenser is that it doesn't only offer hot and cold water, it also has a room temperature water which is very nice. Just like the Glacial Maximum, it also comes with a bottom load feature that you wouldn't need to lift the 5-gallon bottle. Whirlpool Stainless Steel is the obvious winner for this review since it has a lot of great features and it may not be perfect but the flaws are minor. It also has a good price, not too cheap and not too expensive so this is definitely a must try. And if ever you did, don't forget to come back here and let us know what you think by leaving a comment.